A performer, composer, conductor, and educator, Marshall began playing percussion at the age of four, and by early adolescence had progressed to performing in rock bands, marching bands, jazz combos, and symphony orchestras.. He studied under Buddy Rich and Mickey Sheen and, as an undergraduate at the University of Miami, served as the drum line section leader where he composed the music for several shows. He graduated with a Bachelor of Music in Percussion Performance. Marshall’s extensive experience includes tours with the Florida Symphony and North Carolina Philharmonic Orchestras at venues including Lincoln Center, and pit orchestra gigs for musicals such as Fiddler on the Roof, Grease, Cabaret, and West Side Story. He’s toured with rock and jazz bands, playing at the Hard Rock Café at Universal Studios, CBGB and the Knitting Factory in New York City, and the Black Cat in Washington, DC. “Playful,” “creative and adventurous,” and “never misses a beat” are just some of the words fellow musicians use to describe Marshall, whose unusual career trajectory includes a PhD in accounting (he’s a CPA for fellow musicians, filmmakers, painters, animators, designers, and more). He believes in giving back to the community through performances at nonprofit fundraisers; volunteer work with schools, community-art initiatives, and family foundations; and volunteer work as a rock and jazz teacher for underserved students. Marshall has won concerto and drumset competitions. Among other instruments, he plays mallets, timpani, and concert percussion. 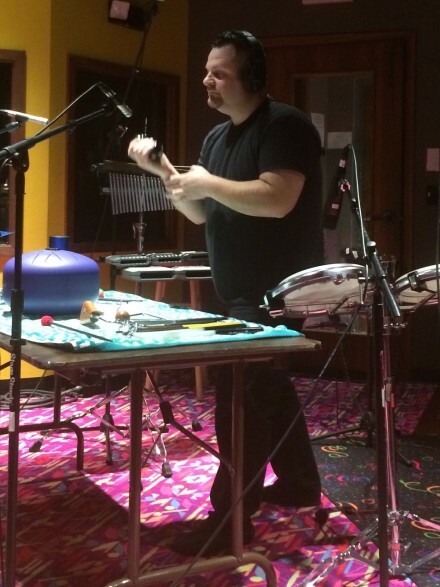 Throughout his career he’s conducted percussion ensembles of middle and high school students. Along with his wife Brigette, he co-founded Harmonic—a music foundation in Washington, DC, of which he’s now the executive director and a drumset/percussion teacher—where people of all ages can take lessons in an inspiring environment.